Soeris Baidjoe joined RS Waasland in June 2006 from Patro Maasmechelen. He returned to his former club in January 2007 signing a contract until 2008. When his contract expired Baidjoe moved to Veldwezelt for two seasons. In July 2010 he returned back to his former club Patro Eisden. 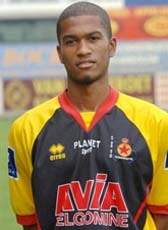 In May 2012 Baidjoe has left Eisden to join Racing Mechelen for the 2012-13 season. With minimal matchplay during the season, he was released from Mechelen on a free transfer in June 2013. Soeris Baidjoe has played for KVK Tienen in the 2013-14 season before retiring from professional football. He is currently playing at the amateurs of Mopertingen in Belgium.